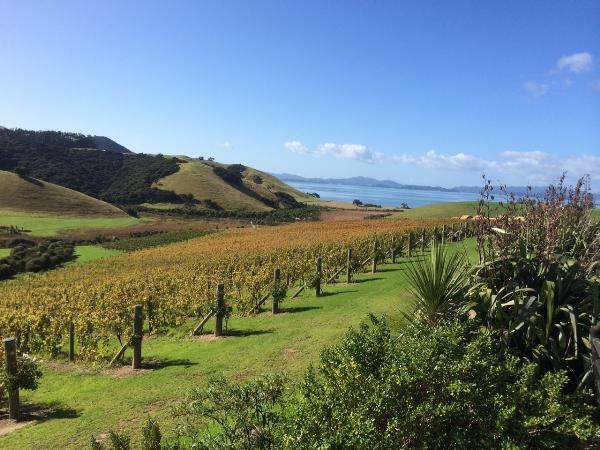 The Landing is a small vineyard located on a coastal site on the tip of the Purerua Peninsula in the Bay of Islands. Long summers and a sea breeze make for superb growing conditions. First planted in 2007 with Chardonnay and Syrah,more recent expansion includes a number of other varieties - Cabernet Franc, Malbec, Merlot, Pinot Gris, Montepulciano and Sangiovese. Our wines are made at nearby Marsden Estate, with the 2011, 2012 and 2014 chardonnays and our 2013 Syrah all winning Gold Medals at the New Zealand International Wine Show.